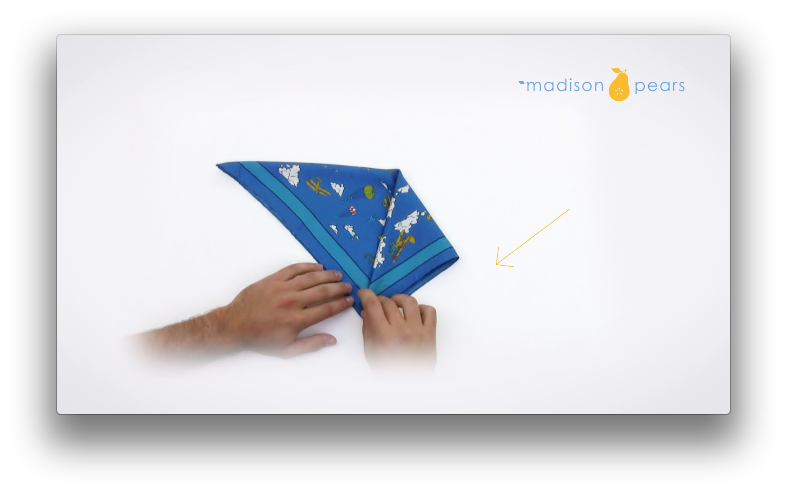 The Winged Puff is a somewhat formal and relatively easy pocket square fold. 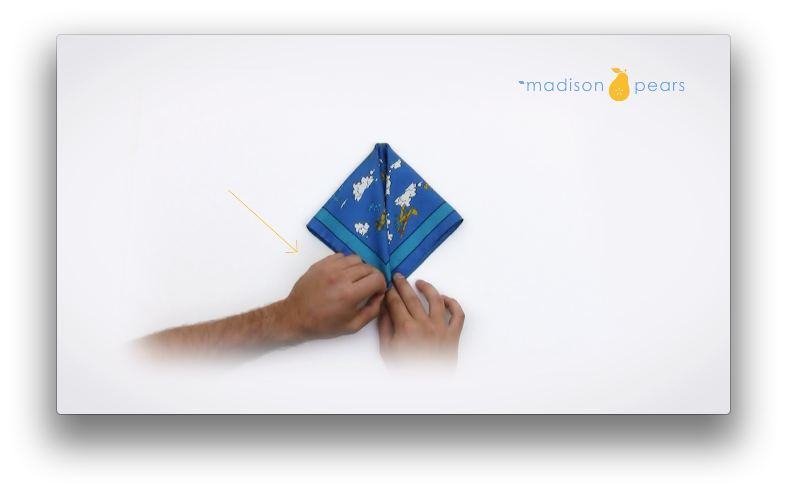 Check out our step by step instructions for how to fold your pocket square with our video, or use the diagrams below. Start by laying your pocket square flush against the table. Rotate your square 45 degrees. 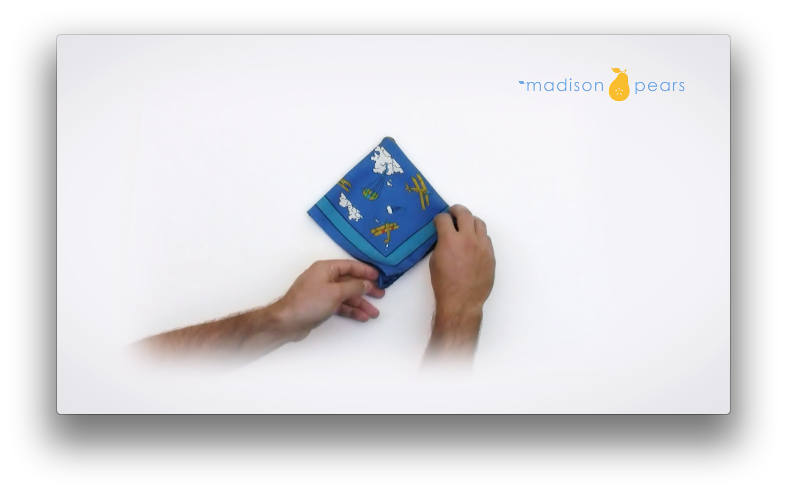 Grasp the right and left corners, pinch and lift your square up so it folds in half. Take the right-most point and fold it into the bottom point. Repeat on the left by taking the left-most point and folding it into the bottom point. Now we'll the right and left points again and fold them behind the square. To do this without unravelling the fold, we're going to flip our pocket square over. Now take those right and left points and fold them into the middle. The idea here is the estimate the width of your pocket, and keep the fold width to something similar. It doesn't have to be exact, we'll adjust this later. Flip the pocket square back over and tweak so the fold is still centered. The fold is now complete. Now we'll go over how to get it neatly into your pocket. 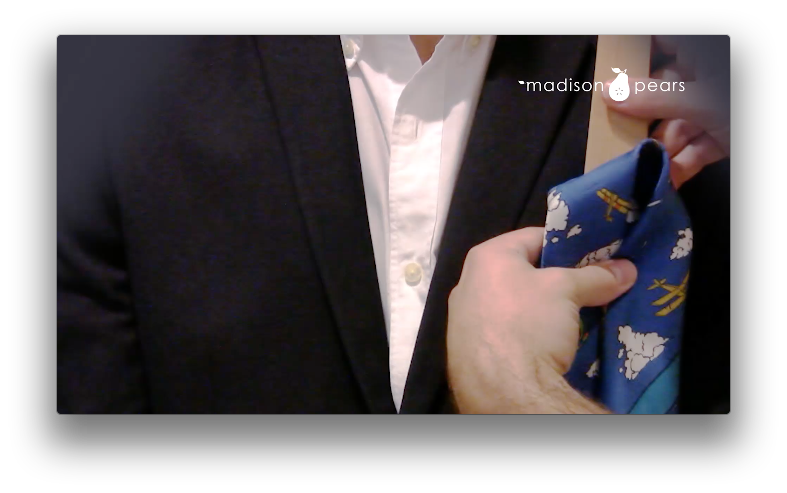 To get the pocket square into your jacket, we're going to use a shoe horn to maintain the integrity of the fold. With the shoe horn behind your pocket square, fold up the bottom third. Now use the shoe horn to slide the pocket square into your pocket. Make any final adjustments needed.